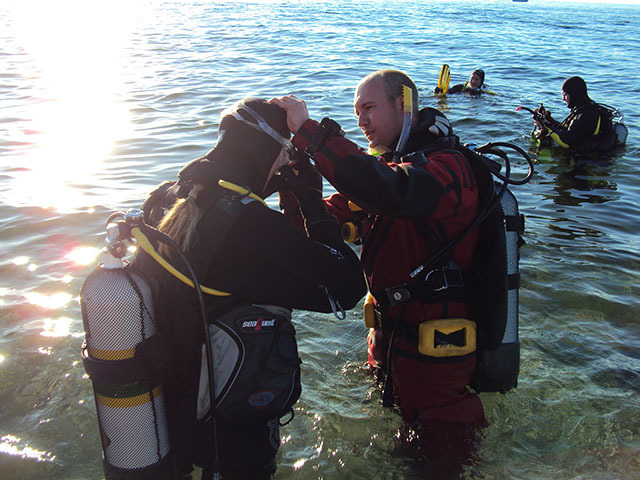 Learning to dive with us will make you a safe diver! With small groups, professional instructors and plenty of time you are guaranteed the personal coaching you need to enjoy the fantastic underwater world. During the course you will learn to dive both with a wetsuit and drysuit and you will be able to enjoy warm safe diving anywhere in the world, all year around, right from the start. Drysuit, wetsuit, bcd, regulator, tank, divecomputer compass.